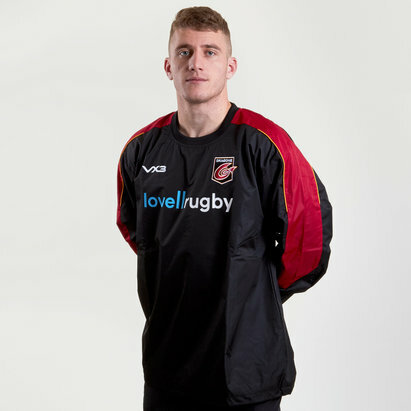 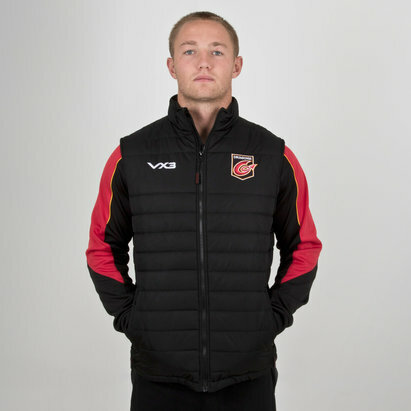 Ready to pull on to stay warm and dry in the stands at Rodney Parade or on the sidelines at training, make sure you show everyone who you're supporting with this VX-3 Dragons Pro Quilted Jacket. 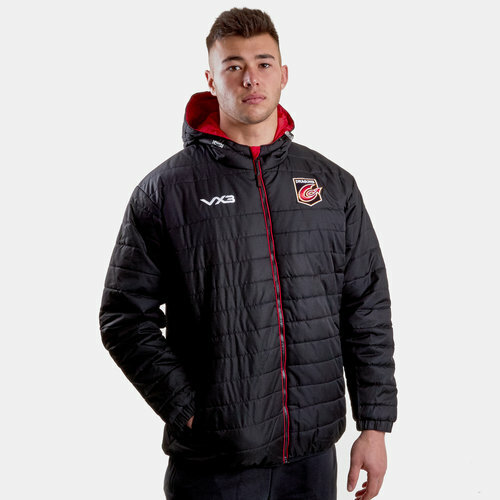 Made from a tough polyester, this Dragons jacket ensures the heat stays in and the cold stays out and comes with a soft lining ensures there's no irritation as full zip and drawstring hood to keep the rain away. 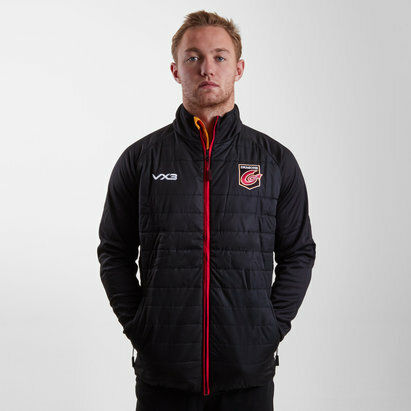 Designed with the Dragons and VX-3 logos proudly embroidered on the chest. 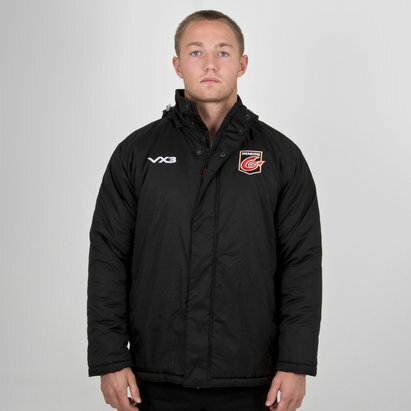 In a smart black design, a full zip, elasticated drawstrings on the bottom hem, elasticated cuffs at the sleeves and two zip secured pockets, allow you to wear this jacket how you like, so whether you're sheltering from the rain or cold, you'll still be able to proudly pull on this VX-3 Dragons Pro Quilted Jacket anywhere.